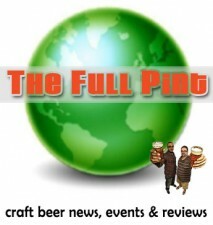 Are you thirsty for some craft beer news? Read on for info about Odell’s upcoming Woodcut No. 5, Twin Lakes Brewing, Wachusett Brewing, The Bruery, Fort Collins Brewery, Upright Brewing and Bristol Brewing. Odell Brewing – Odell Brewing in Fort Collins, CO just shared a picture of Woodcut No. 5 going into oak barrels. You can follow this link to see the picture, you might have to be logged into Facebook to see it. What is Woodcut No. 5 you ask, according to Odell, it is a Belgian Quadruple. Wachusett Brewing – Exciting news coming out of Wachusett. Founder and President Ned LaFortune won the Worcester Business Journal Small Business Owner of the Year Award for 2010. You can follow this link to check out the article and corresponding video. Starting late February, LARRY Imperial IPA will be part of their “Box of Brews” mixed 12 pack along side Country Ale, IPA and Blueberry. The Bruery – As you might be able to tell, The Bruery has been releasing many beers for their Provisions Series at a rather quick pace. We’ve confirmed that The Bruery will be releasing a partially oak-aged Imperial Maibock, slated for May. We hope to bring you more details including label art and final product stats. Upright Brewing – Starting at 6 pm Tuesday February 22nd we’ll be celebrating the release of our second annual Oyster Stout at the Grain and Gristle. Besides having bottles of the beer available to take home we’ll be pouring two draft versions, one “standard” and the other from a small 11 gallon cask infused with Oregon black truffles. Sunday March 20th from 1 pm until 6 pm Upright is hosting a gathering at the brewery to mark our second year of production. The day also doubles as a release for the second batch of our sour cherry barrel-aged wheat beer, Four Play. This limited 2011 vintage was matured for one year in former pinot noir barrels yielding a tart and complex beer that’s ready to drink by the first day of spring or capable of long-term cellaring, five years or more. Starting in mid-February the brewery tasting room will have a new series of extra-small batch hand bottled beers available. They will all be barrel-aged and using unique processes and/or ingredients, most often appropriate for cellaring although they’ll always be ready for immediate enjoyment upon their release. Bottles will be hand numbered and detailed information on each can be found in the tasting room or on the brewery blog. Now that we’ve finally hooked up our three new tanks you can expect more one-off and seasonal beers from us, including an addition to our year-round line up. Engelberg Pilsener, brewed in the German-style using 100% tettnanger hops from Mt. Angel will be available on draft beginning around mid-March. A couple one-off draft beers are in the works too, including a coffee stout and our own take on a Kopstootje incorporating a lightly spiced Biere De Garde base and employing a warm lager fermentation in our new 10 barrel open tank. Bristol Brewing – It’s also almost time for the release of the 2011 Smokebrush Porter. On February 24th at 6:00 PM we’ll unveil the new beer and the winning artwork. (All the entries from our label contest are currently on display in the Tasting Room. Come down and submit your vote for our People’s Choice Award!) The release party will be held at Marmalade at Smokebrush, 219 W. Colorado Avenue, in the Trestle Building under the Colorado Avenue Bridge. We’ll have live music and food to toast the new beer. As always, 100% of the profits from Smokebrush Porter will go to support the Uncle Wilber Fountain in Acacia Park.